Engine, filtration, and genset manufacturer Cummins Africa Middle East, together with earthmoving, mining, construction, and utility equipment supplier and aftermarket provider Komatsu Africa Holdings have inaugurated a new Technical Education for Communities (TEC) programme at the Sedibeng TVET College, Sebokeng Campus in Southern Gauteng. Through the partnership, Cummins and Komatsu will enhance the standard education platform to help develop a market-relevant curriculum, teacher training and career guidance, and also provide much-needed practical experience for students. The TEC programme forms part of a global initiative that targets the technical skills gap in South Africa through local vocational education programmes. It is the realisation of an agreement betwee Gino Butera, Vice President and MD, Cummins Africa Middle East, and Mike Blom, MD, Komatsu Africa Holdings in October 2017. 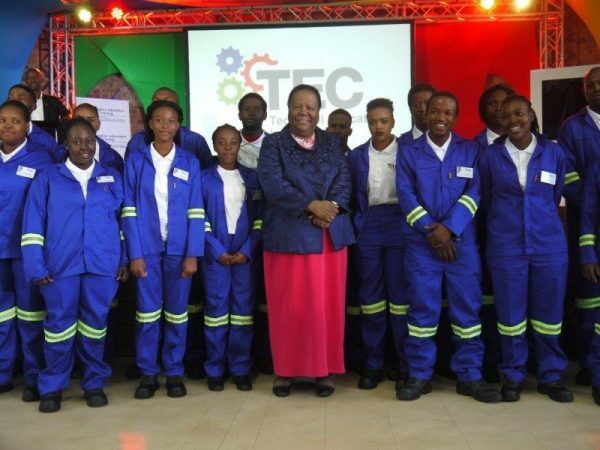 The latest TEC programme was launched on 21 May at the Sedibeng TVET College, during which Higher Education and Training Minister Naledi Pandor delivered the keynote address. She was accompanied by members of the Department of Higher Education and Training and merSETA. Globally, employers are experiencing critical shortages of skilled technical workers, with around 10 million manufacturing jobs worldwide unfilled owing to a shortage in technical capabilities and soft skills. The TEC programme seeks to plug this gap by providing schools in South Africa with the necessary tools to equip learners with market-relevant skills that prepare them for the world of work throughout the course of the Fourth Industrial Revolution, or Industry 4.0. Blom highlighted in his address that the TEC programme was a sterling example of the private and public sector coming together to uplift local communities. Since the global launch of the TEC initiative in 2012, 19 schools in 11 countries have been established, with the Sedibeng TVET College becoming the twentieth school to fall under the auspices of the programme. The latest addition to the TEC programme in South Africa builds off a global corporate responsibility agreement signed by Cummins and Komatsu in June 2016.